Petrified wood. 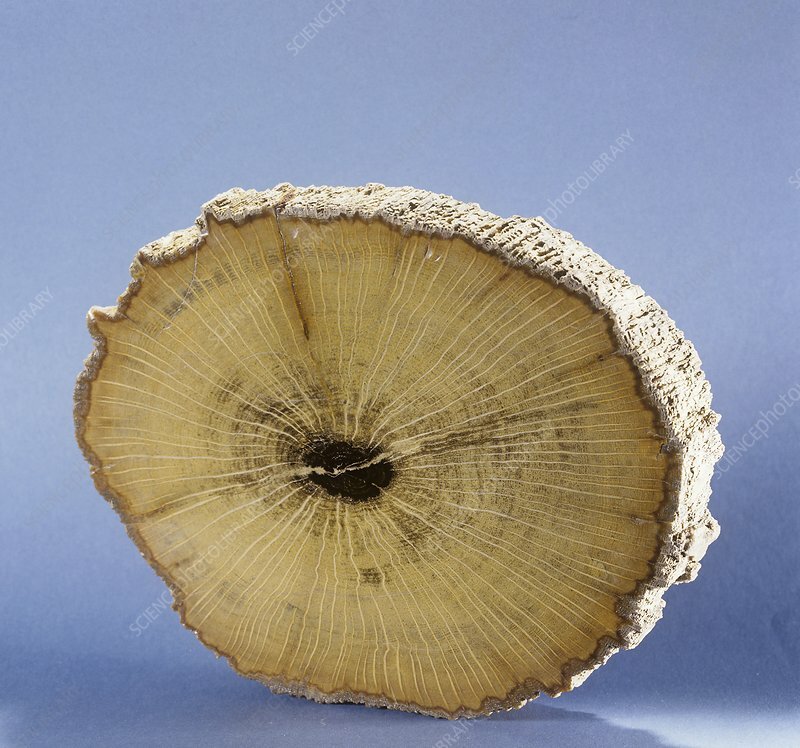 Specimen of a fossilised piece of wood that has been preserved by petrification. Mineral quartz (silica, a form of silicon dioxide) has replaced the structures of living wood, a process that 'petrifies' the tree (turns it to stone).